Certain vitamins degrade should be supplemented. Vitamin E, omega-3 fatty acids, probiotics and enzymes are fragile. They lose their integrity during processing and storage. Vitamin B and Vitamin C don't store well in commercial dog food packaging. Vitamin B is difficult to find in large enough levels in fresh foods. Omega-3 fatty acids are difficult to find in food sources. They are very fragile. Heat and freezing will destroy most of these vitamins. Proper storage and feeding of these vitamins will re-introduce these vital and essential nutrients back into your dog's body. 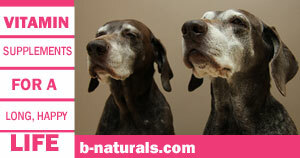 Contains: Berte's Daily Blend contains vitamins A, C, D, E, B, and selenium, as well as kelp and alfalfa. Berte's Daily Blend contains antioxidants which help to promote good health and immunity. 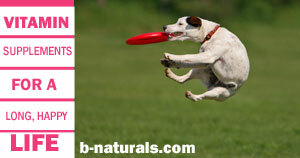 The Blend is an appropriate supplement to both raw and cooked diets. 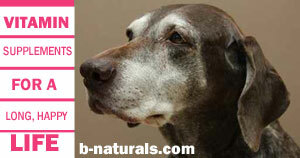 Directions: Berte's Daily Blend vitamins should be mixed into your dog's food twice per day. Guaranteed Analysis - One tablespoon contains Vitamin A (11,000 IU/kg), Vitamin C* (2000 mg), Vitamin D (880 IU/kg), Vitamin E (880 IU/kg), Vitamin B Stress Formula (75 mg), Selenium (0.16 mg/kg). 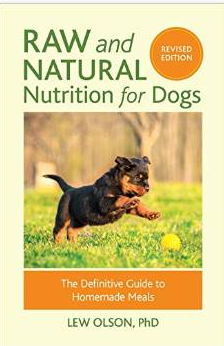 *Not recognized as an essential nutrient by the AFFCO Dog and Cat Food Nutrient Profile. 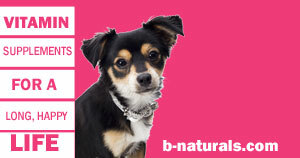 Buy Berte's Daily Blend wholistic vitamin formula below.